I hate to admit that I have been blogging for just over 4 years and I do believe this is the FIRST popsicle recipe I’m sharing on the blog …. how lame-o of me!!! In my defense, popsicles don’t last very long in the Love Bakes Good Cakes house and since they melt pretty fast, I’m more concerned about eating them versus taking pictures of them. 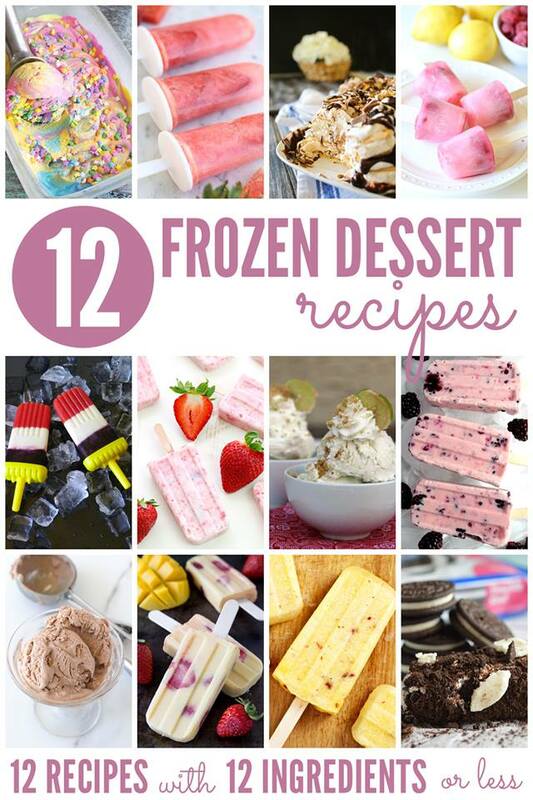 This month’s #12bloggers theme was frozen desserts …. I think someone knew I needed to up my popsicle game! 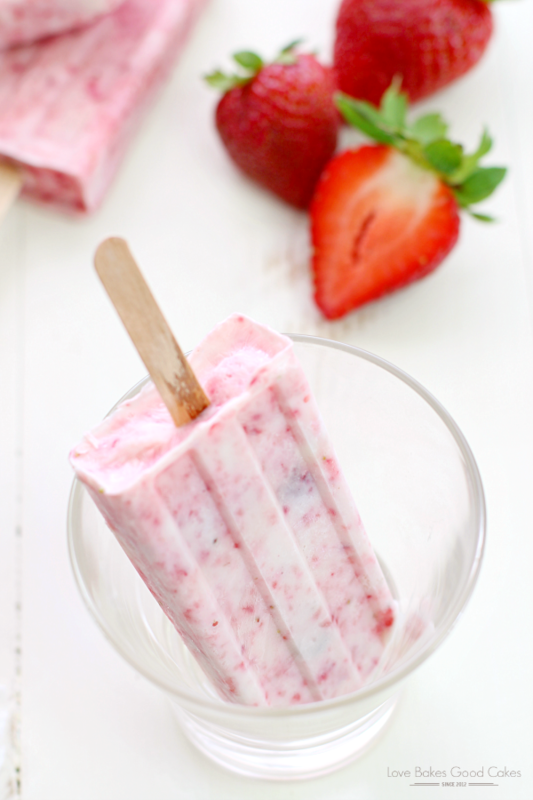 Ahem ….. As soon as I saw this month’s theme I knew I had to add a popsicle recipe to the blog – I mean, it’s kinda past time, don’t ya think?! 4 Years?! If you’re new to the 12 bloggers series, every month on the 12th of the month, 12 bloggers get together to share a themed recipe with 12 ingredients or less!! 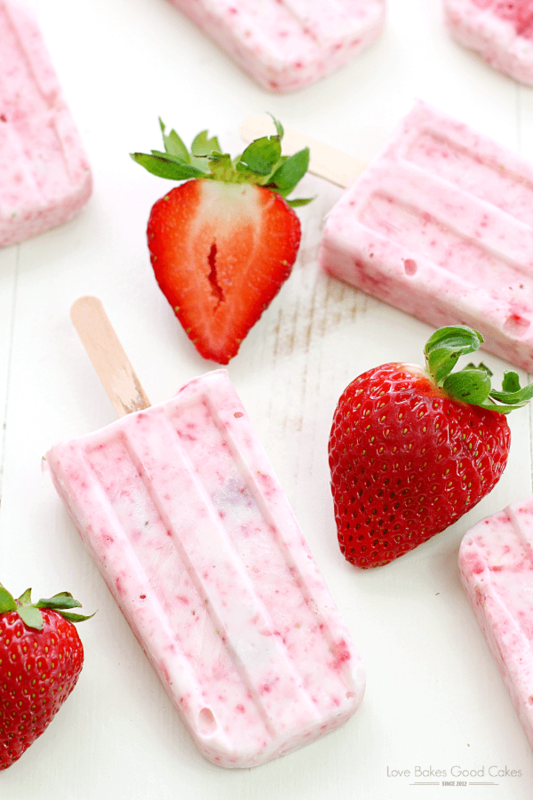 Living in the Arizona desert, you can believe we eat our share of popsicles most of the year and these Strawberry-Yogurt Popsicles just happen to be one of our faves! Not only are they delicious, but they’re healthy – and with 2 ingredients, they’re super easy to make!! The weather is forecasted to be 120 degrees (ugh!!!!) 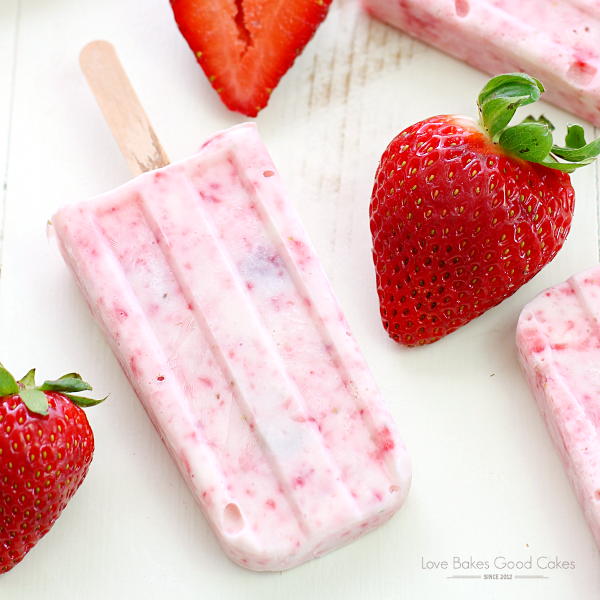 this next coming weekend so we are in the process of making a few batches of these yummy popsicles throughout this week to have on hand in the freezer for those super hot days! Heck, with those kinds of temps, this just might be breakfast, lunch, and dinner over the weekend …. and I’m totally not joking! Note: If you’re looking for a popsicle mold, this is the one I use and love! 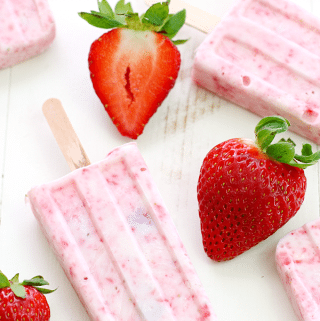 Keep cool this summer with these Strawberry-Yogurt Popsicles - they only have 2 ingredients and they're healthy! Place the strawberries in the bowl of a food processor, cover and pulse a few times - or mash strawberries with a fork or potato masher until strawberries are chunky with only a few bigger pieces remaining. Place the yogurt in a large mixing bowl. Pour the strawberries over the top and gently fold the strawberries into the yogurt. 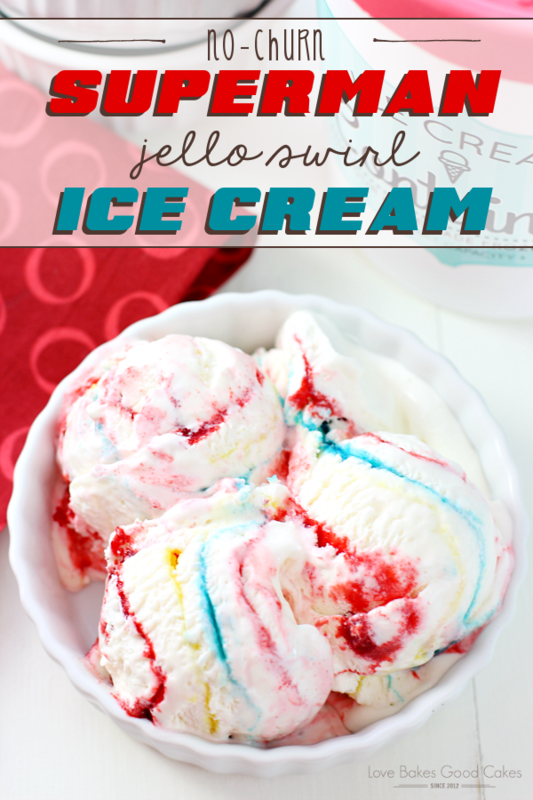 Carefully spoon the mixture into a popsicle mold. Freeze until completely solid and set. 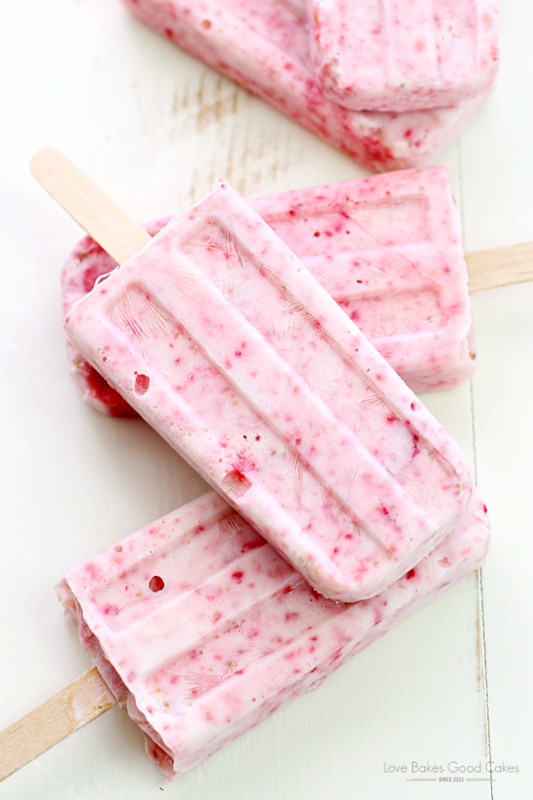 TIP: To easily unmold the popsicles, dip the bottom of the popsicle mold into hot water for a few seconds. Looks SO incredibly perfect for summer, Jamie! Sharing this on my Facebook page and pinning! These pops are gorgeous! 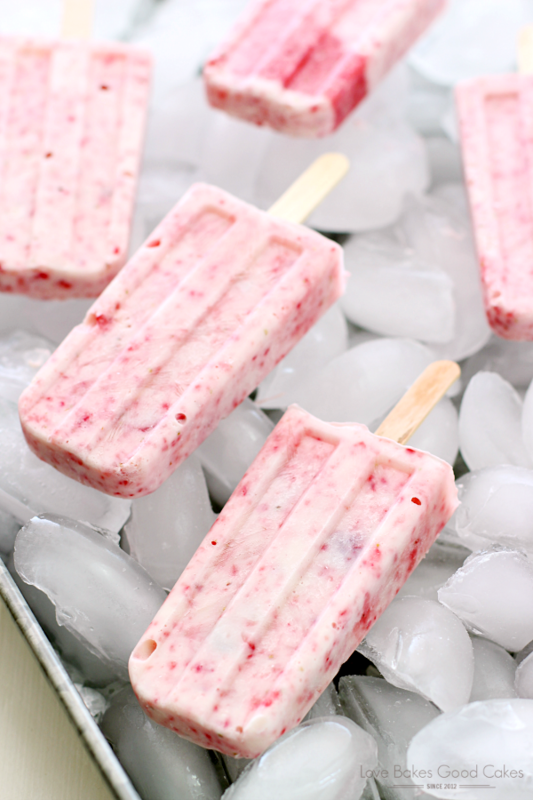 I love making homemade pops for my kids — they're the best summer treat! These turned out so perfect, Jamie! I want to eat them ALL. DAY. LONG! 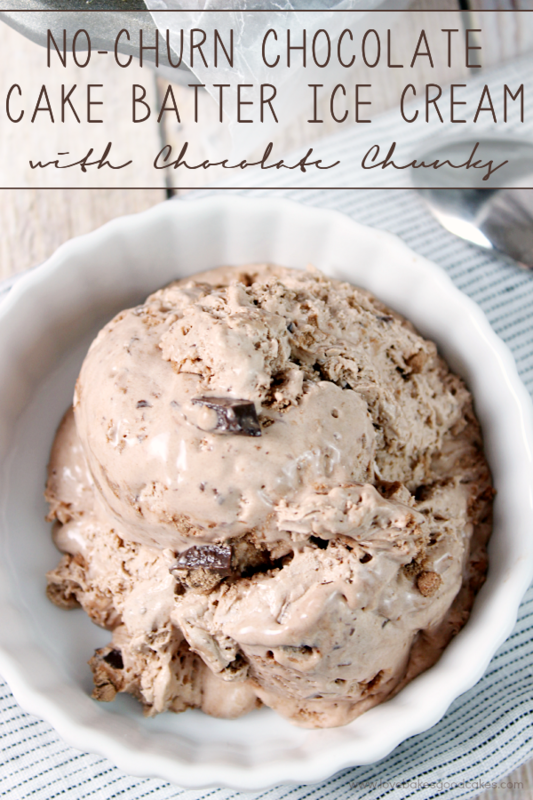 I'm going to have to make these very soon! My daughter and I will be in heaven. Oh yummy! Those look so good! We could use those today since here in AZ it’s about 95 degrees! Could I use strawberry Greek yogurt?